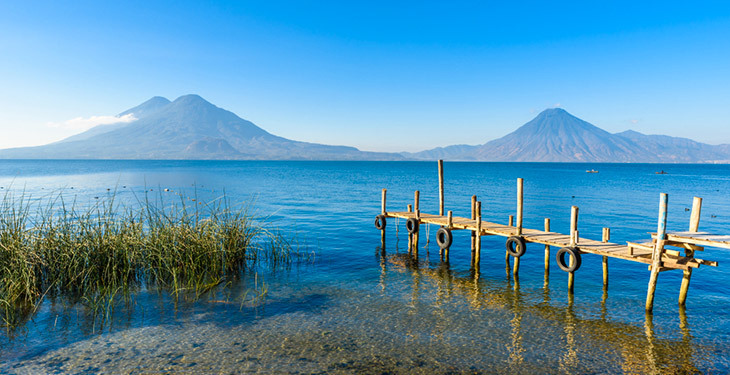 Escape to beautiful Lake Atitlán. Trip for 2! Get 6 months to pay $895.00 with PayPal Credit! No payments + no interest if paid in full in 6 months. Soak in the exquisite comfort, charm, and local flavor. Discover why National Geographic named this one of the world’s best eco-lodges! 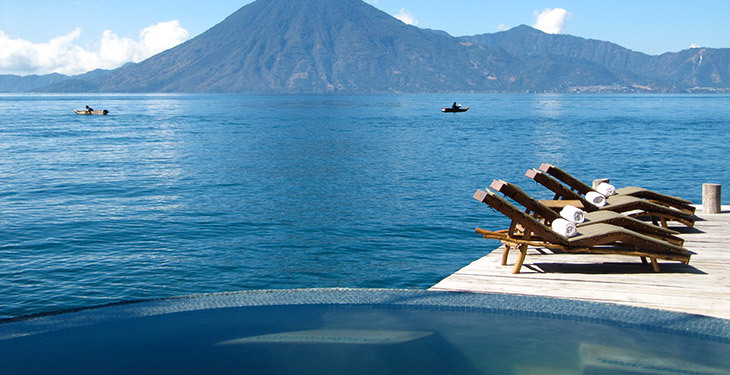 Experience magical Lake Atitlán on this 5-day/4-night escape for two! From hiking through lush forests to lounging in your lakefront villa, this trip offers a perfect blend of relaxation and adventure. 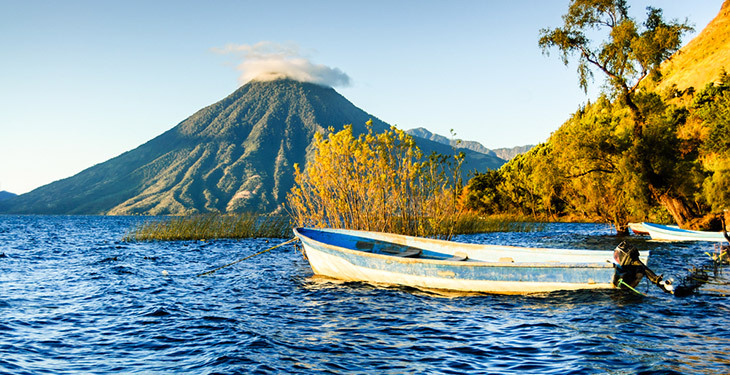 Discover for yourself why writer Aldous Huxley described Atitlán as the most beautiful lake in the world. Three towering volcanoes surround its clear blue waters, with a dozen or so villages nestled along its shores. Immerse yourself in the enchanting Mayan culture which still holds strong in this vibrant, picture-perfect oasis in the Guatemalan Highlands. The Laguna Lodge Eco-Resort and Nature Reserve is a spectacular lakefront property surrounded by 100 acres of biodiverse, tropical dry forest, and offers an array of luxurious, eco-conscious, and locally sourced amenities. Hike lush jungle trails to the hills overlooking the lake, paddle a canoe or kayak through hidden coves and crystal-clear blue water, and explore the unspoiled charm of Mayan village life. The lodge is a perfect base for embarking on a number of exciting outdoor recreation opportunities, or for visiting the historical sites of the many nearby nature reserves. There's even a lakefront pool, spa, yoga pavilion, and mini gym. Emerge from this retreat invigorated, revitalized, and absolutely inspired. Enjoy the numerous hiking trails, palm-thatched resting pavilions, and panoramic lakeviews that this reserve offers. Take advantage of luxurious on-site amenities, including a lakefront pool, spa, yoga pavilion, palapa deck, mini gym, and award-winning restaurant. Explore the lake by canoe or kayak. Hike through the stunning volcanic Sierra Madre mountains. Embark on any of a number of thrilling day trips, including rock climbing, paragliding, or zip lining. Take in the Guatemalan culture as you explore the surrounding villages, tour local coffee plantations, and visit Mayan ruins. Kick back, drink in the scenery, and pick your pace on this exotic and unforgettable retreat! 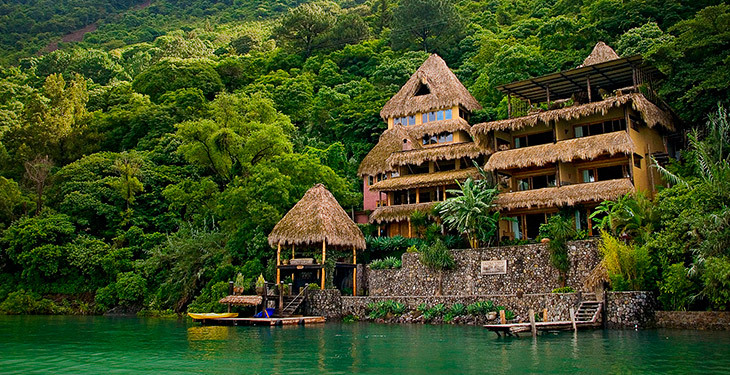 The Laguna Lodge Eco-Resort and Nature Reserve resides in Santa Cruz La Laguna, along the shores of Lake Atitlán. The lodge sits at the gateway to 100 acres of biodiverse land, with some of the last remaining old-growth forest in the region. The property’s inspiration and constitution comes from its natural surroundings, featuring thatched-palm, hardwood floors, volcanic rock, and adobe. The property and its rooms are adorned with fresh flowers, and afford panoramic vistas of the lake and volcanoes throughout. The Laguna Lodge is designed to give you the full freedom to relax and indulge on-site, as well as pursue exciting cultural and outdoor opportunities. 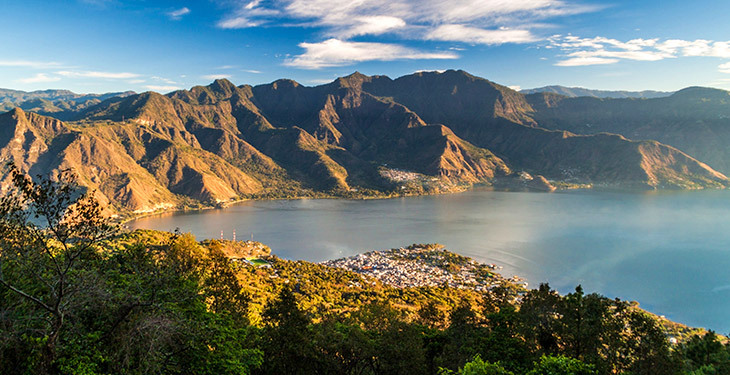 It has been written by many that Lake Atitlán is one of the prettiest places on earth. Watching the sunrise kiss the tops of majestic volcanoes from my balcony at the Laguna Lodge...it is hard to argue that point. My wife and I made a fairly spontaneous trip to Guatemala and had not done much homework before arriving at the lodge. It was a truly wonderful surprise. Every detail has been considered. The decor is perfect! It is a blend of rustic simplicity with touches of true luxury. Our room was comfortable and we also enjoyed two wonderful dinners in the restaurant. Pictures can't do justice to this beautiful place or this lodge. Laguna Lodge is certainly befitting of the title of one of National Geographic's world's top 25 eco-lodges. Besides the stunning views and natural beauty of Lake Atitlán that the lodge captures in every window, the lodge itself is a work of art. Attention to detail and service is optimum and the staff are well trained and attentive. World class food and accommodation on one of the most scenically stunning and culturally inspiring parts of the planet makes Laguna Lodge a unique and rich experience. Truly my favorite place to stay! My husband and I just got back from staying at Laguna Lodge on Lake Atitlán. This was one of the most incredible trips we have ever taken. Not only is the lodge architecturally one of the most beautiful places we have ever stayed, but the calm, relaxing atmosphere was such a unique experience. The staff was so friendly and quick to serve. It was very easy to book our horseback ride and tour of a local coffee plantation through the hotel. One thing we liked about the restaurant is that we didn't have to sit around after the meal waiting for a bill...we paid for everything at the end of the trip. We loved laying in the hammock on the top floor, hiking to the Palapa, and lounging on the deck/swimming in the lake. The bed was one of the most comfortable we've ever slept in--we both got really good night's sleep while we were there. Breakfast was the most relaxing part of the day--drinking fresh coffee and orange juice overlooking the water...one of the things we miss the most! Would definitely recommend staying here. Thank you Juan Manuel and the staff for making our stay such an enjoyable one. How do I redeem my voucher? Are there blackout dates? Voucher is valid for a 5-day/4-night stay until September 30, 2019. 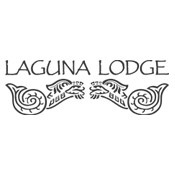 In order to check availability or make your reservation, please contact Laguna Lodge directly at info@thelagunalodge.com. Please note that your request is subject to availability. Blackout dates include April 14 – 21, 2019 for Easter week. What is the best way to get to Lake Atitlán? The closest international airport is in Guatemala City (GUA), which is approximately 90 miles and a 2.5 hour drive away. If you wish to arrange a private shuttle transfer, you can do so by contacting Laguna Lodge directly. For the more adventurous or budget-conscious, consider taking a bus to Panajachel (approximately 3.5 hours). 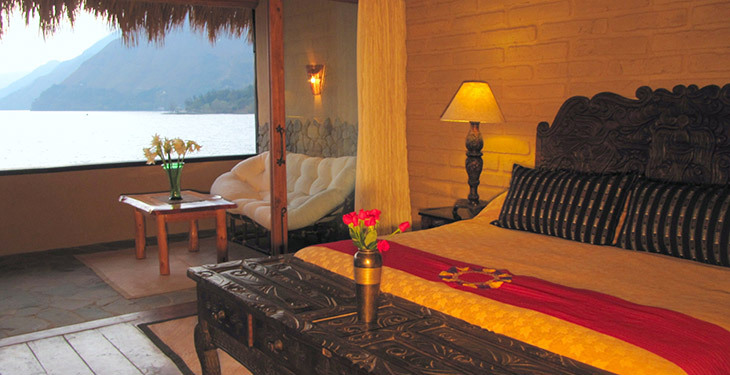 The lodge is located in Santa Cruz La Laguna, a short boat ride from Atitlán’s hub town of Panajachel. Your superior suite will be either a Tecun Uman or Pato Pac room. Each are 600-square feet, and will include private bath, private balcony, panoramic views, linens, bath robes, botanical toiletries, fresh floral arrangements, mini bar, and complimentary drinking water. Each room is thoughtfully decorated with fine woven textiles, artifacts, and artwork. Only breakfasts are included, so you'll have flexibility with your meal choices. The lodge is home to Zotz, an award-winning restaurant, but restaurants, bars, food vendors, and stores will be widely available throughout Panajachel and the Lake Atitlán region. Pack appropriately for the climate. The summer wet season lasts from May to October, and the winter dry season lasts from November to April. The climate is temperate, with generally warm days and cool nights, so consider bringing sun protection for days and layers for evenings. It depends on your spending habits. Generally, it is suggested you allocate $20 USD per day to cover lunch, dinner, gratuities, and any souvenirs you might want to purchase. Book confidently with Free Cancellations within 72 hours of booking. After 72 hours, cancellation fees will apply. Cancellations are subject to the full discretion of Laguna Lodge Eco-Resort. For more information on our Travel Cancellation Policy please Click Here.